U.S. Sunlight Solar Attic Fans, Skylight Tubes, and Accessories are specially tailored for the do-it-yourselfer. Standard Installations can typically be completed in a single afternoon. See the links below for a variety of installation resources. If you choose not to install the product yourself, U.S. Sunlight has an online Contractor Locator that can help you find a local company to assist with installation. 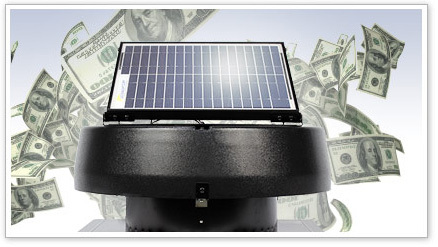 The Federal tax credit for solar attic fans has been extended through 2021. The Solar Powered Attic Fan is eligible for a 30% (up to $1,500) credit on the purchase price of the fan, installation and sales tax. Tax incentives above-and-beyond the 30% Federal tax rebate are available for residents of specific municipalities. Look for your city below to find additional information. If you'd like additional information, please visit the Database of State Incentives for Renewables & Efficiency (DSIRE). **Rebates subject to change based on participation and availability of funds. Please check with your local municipality for current rebate availability.